You now have two variables of type Dog, each referring to an instance of a Dog object. The Dog objects exist on the managed heap. The managed heap still contains the two original Dog objects. 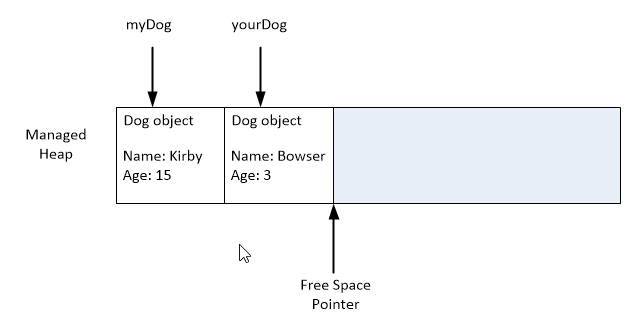 But notice that the “Bowser” dog is no longer currently referenced by any reference-typed variables. 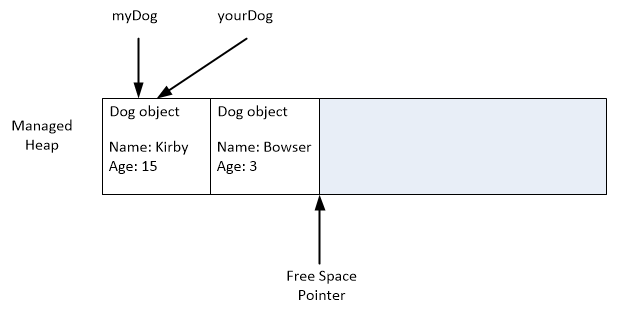 Bowser is no longer reachable from any of the reference-typed variables, but this Dog object has not yet been destructed, or its memory reclaimed.